The concept of travel and tourism are complimentary terms that indicate travelling of an individual better known as a tourist about 80 km away from his home. However tourisms can be divided into domestic, inbound and as international tourism. An insight into the historian landmarks spread across various locations all over the global including the western countries can be considered as key significance for the developing hospitality and tourism sector. However in contrast to the historical landmarks like the Eiffel tower of Paris, Alhambra of Spain, Buckingham palace of England and many more the historical landmarks of New Zealand are versatile and has attracted the tourists from all over the world. Important to highlight the locations like Waitangi and Auckland, Queensland reflected evidences of historical landmarks. Te Whare Rananga an intricately carved house belonging to the Maori inhabitants is also another historical landmark with respect to tourism and hospitality growth in this country. Bay of island, Russell and Kerikeri are the other important location in this respect. The museum at Russell presents the connecting link between the Maori and the British. This country has also witnessed huge number of tourists flocking every year as response to wildlife tourism. Whale watching, swimming with dolphins, trekking, camping, bird watching, eco and nature cruises are the major activities of tourist visiting this country. The other tourist activities famous in New Zealand are sightseeing, visit to the historical places, adventure tourism etc. Presently according to the statistical estimation chain is New Zealand’s second largest visitor past 5 years. Important to add that New Zealand has 3.2 million tourist visits as of the year 2014 that has been again considered to poise an impact over the environment. In this context the country has developed carbon-neutral policy. The country through its growing tourism business has contributed about NZ $7.3 million or 3.7 % to the country’s GDP as of the year 2013. Combining both domestic and international tourism, the New Zealand’s economy witness a contribution of NZ$24 billion. Tourism of New Zealand is marketing on the international platform as a ‘clean, green adventure playground’ attracting millions of tourist every year from every corner of the globe. This country has been voted as the best country of the world to go for a vacation in the Readers of UK paper in 202 while the national airline of New Zealand has been selected as the third best long-haul carrier. The tourism of New Zealand witness a good number of tourists from new locations spending less time in the country that further mark on the changing spatial pattern of tourists travel. Apart from hospitality and tourism business, New Zealand through its import and export business has captured a significant portion of international business market. New Zealand holds a leading position in the international business market following the export of goods like dairy products, meat and wood. 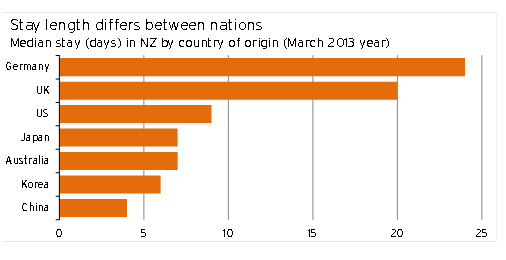 This accounted to about 50% of the total exports done by New Zealand as of the year 2014. Changes are also evident with respect to preference for exploring the regions. The concept of tourism can be aligned with the word tourist that indicates an individual who travels at least about 80 km away from his home for business or vacation purpose. However, the United Nations world tourism organization (1955), has classified tourism into three major categories: domestic, inbound and outbound. 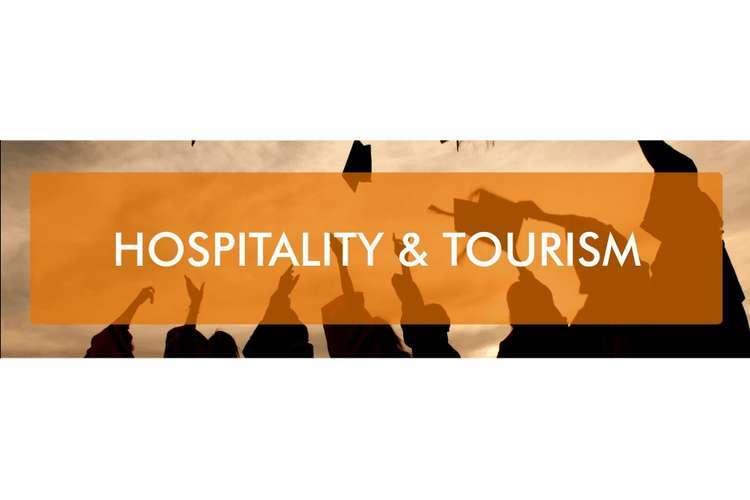 The growth of tourism subsequently resulted in the emergence of hospitality industry wherein hotel and restaurant business are the sole players (Page and Connell, 2010). The primary objective of this structure report is to provide an insight regarding the tourism and hospitality growth in New Zealand and its contrast with the rest of the western world. However, this report also aims to include information highlighting the overall nature of the tourists and tourism of New Zealand and the major international market trends of this country. Describing the ever changing spatial patterns in tourist travel is the other objective of this structured report. El Escorial, a vast building complex located in the town of San Lorenzo de El Escorial, near Madrid, in central Spain. Above are the major historical landmarks located in various westerns nations across the globe contributing to the present day development of tourism and hospitality. New Zealand the country famous for its green pasture land has presently become a hub of tourist attraction and also reflects the growth of a promising hospitality industry. The country has a number of historical sites, reflecting the legacy of Maori the original inhabitants of New Zealand and the colonial development of the British. The historical locations like Waitangi on the north island emerged following the treaty signed between the Maori and the British. This location is considered as the birthplace of New Zealand. The treaty house located in at this site is one of the oldest homes of the country and undoubtedly a tourist attraction. Te Whare Rananga an intricately carved house belonging to the Maori inhabitants is also another historical landmark with respect to tourism and hospitality growth in this country. Bay of island, Russell and Kerikeri are the other important location in this respect. The museum at Russell presents the connecting link between the Maori and the British. The Christ church located at Russell is one of the oldest wooden churches in New Zealand (Collier, 2006). The city of Russell h as depicts the history of chopping down of the ceremonial British flagpole by the Maori chief Hone Heke that can also be included as one of the key landmarks reflecting the tourism of New Zealand. The historical significance of Kerikeri is reflected by being one of the oldest European settlements of the country. Koriripo pa is a well preserved Maori fort. Rewa village is a reflection of a Maori fishing village is the other major historical landmarks of New Zealand (Newzealandatoz.com, 2017). The dominion observatory located in wellington, the capital city of New Zealand and other historic sites like the birthplace of Katherine Mansfield can be considered as places with historical significance. The old government building which in the second largest wooden building in the world, the national library of New Zealand are the other important landmarks favouring the tourism growth in this country. Auckland of new Zealand’s is another important location comprising of historical landmarks like the gothic styled wooden house, the historic ship Ted Ashby and the Albertson building that was established in 1863 reflecting the Victorian rule (Newzealandatoz.com, 2017). The north island main truck line railway is another key landmark reflecting historical significance of New Zealand ("New Zealand history", 2017). The grand old homes of Auckland display the finer side of colonial life while Wellington gives a reflection of the professional skills of the early architects of New Zealand. The heritage sites of south island indicate the galore of high society and the everyday toil and hardship of the pioneer farmers of the country. Hence it can be inferred that New Zealand although being a comparative younger country possess a rich serve of heritage sites that form the historical landmarks of the western world. The above mentioned major historical landmarks have contributed immensely in the gradual growth and development of tourism and hospitality industry ("Heritage attractions in New Zealand | Things to see and do in New Zealand", 2017). The tourism nature of New Zealand can be aligned with nature and eco tourism as this country offer a huge variety of natural scenes. However this country has also witnessed huge number of tourists flocking every year as response to wildlife tourism. Whale watching, swimming with dolphins, trekking, camping, bird watching, eco and nature cruises are the major activities of tourist visiting this country. The other tourist activities famous in New Zealand are sightseeing, visit to the historical places, adventure tourism etc. In order to support active travel the governing body of this country has developed walking and hiking paths like the Milford track. The Araroa trail and New Zealand cycleway are also popular in this respect (Tourism.net.nz, 2017). Looking into the nature of the tourists visiting this country it is evident that residents from Australia, China, United States of America, United Kingdom, Japan, Germany, Korea, Canada, India and Malaysia visit New Zealand for spending their vacation. As eco tourism and wildlife tourism is offered by this country, majority of the tourist coming to New Zealand are young people. Presently according to the statistical estimation chain is New Zealand’s second largest visitor past 5 years (Tourismnewzealand.com, 2017). Important to add that New Zealand has 3.2 million tourist visits as of the year 2014 that has been again considered to pose an impact over the environment. In this context the country has developed carbon-neutral policy. To infer it can be stated that New Zealand offer a huge variety of tourist attraction for its tourist that subsequently resulted in progressive growth and development of the hospitality sector of the country. Worthy to comment that New Zealand destination being one of the most preferable holiday destination for the global touristy reflect a great contrast with rest of the countries in the world. Considering the tourists attraction places offered by other countries, unlike New Zealand they do not present a variety of tourist attraction. Citing the example of Rome, this place is a hub of historical monuments but do not offer eco and or nature tourism. Hence New Zealand is probably one among very few countries of the globe that offer its global tourist a huge diversity in terms of tourist attraction. Hence people belonging to different ethnic background, social status and age group love to visit New Zealand for spending their vacation (Tourismnewzealand.com, 2017). Tourism and hospitality sector form the major industry of New Zealand with its dominant position in the international markets. The country through its growing tourism business has contributed about NZ$7.3 million or 3.7 % to the country’s GDP as of the year 2013. This economic growth can be equated with supported 110,800 full time jobs. It can be further added that international tourist spending in New Zealand is about 16% of the country’s income generate through export. Hence combining both domestic and international tourism, New Zealand’s economy witnessed a contribution of NZ$24 billion. Tourism of New Zealand is marketing on the international platform as a ‘clean, green adventure playground’ attracting millions of tourist every year from every corner of the globe. Auckland of New Zealand is evident to be one of the busiest international airport handling about 15 million passengers as of the year 2013 while only 2% of the visitors prefer to travel by ship. This country has been voted as the best country of the world to go for a vacation in the Readers of UK paper in 2012 while the national airline of new Zealand has been selected as the third best long-haul carrier (NEW ZEALAND Market Profile, 2015). New Zealand has been considered as Australia’s largest market for leisure visitor arrival and has also ranked third in visitor expenditure sand nights. Apart from hospitality and tourism business, New Zealand through its import and export business has captured a significant portion of international business market. New Zealand holds a leading position in the international business market following the export of goods like dairy products, meat and wood. This accounted to about 50% of the total exports done by New Zealand as of the year 2014. Export of dairy product particularly casein is raised by $17.2 billion. China, Australia, European Union, United States of America, Japan and Korea are the major export destinations of New Zealand. New Zealand has also placed itself in a potential position with respect to the import business. The country’s top import destinations are European Union, china, Australia, United States and Japan. The commodities imported by New Zealand include motor vehicles, computer parts, and turbo-jets and turbo-propellers (Nzte.govt.nz, 2017). New Zealand can also be considered to capture a dominant position in the international market flowing its export and import of service trade. The export of services accounted to $16.9 billion as of the year 2015 while import of services generated $15.5 billion as of the year 2014. Therefore in line with the above produced information it can be conveyed that the foreign direct investment in New Zealand was $97.3 billion as of the year 2014 which is significantly higher from that of Hong Kong and Australia (Stats.govt.nz, 2014). New Zealand is a suitable example that reflected a changing spatial pattern in tourism sector. The increasing number of inbound visitor’s arrival from regions outside New Zealand’s traditional sources of inbound tourism can be exemplified. The tourism of New Zealand witness a good number of tourists from new locations spending less time in the country that further mark on the changing spatial pattern of tourists travel. Hence it is justified to comment that prominent change is evident with respect to distribution of tourists spending throughout the country (Infometrics, 2017). The change is also observed in the composition of the tourists wherein Australia, UK, US and Japan are identified as the major sources of inbound tourism. Presently china is also acquiring a leading position in this respect. 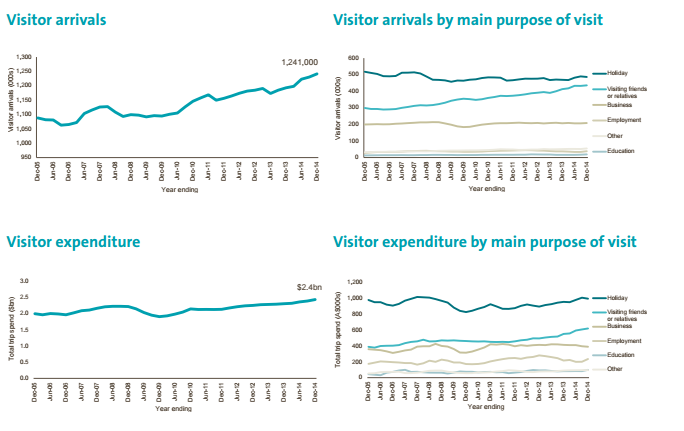 Change in spatial pattern in this respect is also evident wherein long stay visitors are been replaced by the short stay visitor. Availability of short flights and low air fare can be considered significant in this respect. Change was been also noticed in the spending pattern of the tourists visiting this country. Although with an overall increase in the overseas visitor arrival, New Zealand has experienced a fall in total expenditure from 8.5 billion dollar to 5.5 billion dollar (Infometrics, 2017). Changes are also evident with respect to preference for exploring the regions. As majority of tourist visit new Zealand for a short while tourist crowd is more in Auckland and Queenstown. Most of the international visitor do not find time or prefer to explore even the nearby region of Auckland, Rotorua, and Canterbury etc (Infometrics, 2017). The information produced above provides an insight regarding the changing spatial patterns in tourist travel of New Zealand. On the concluding note it is justified to convey that New Zealand has made commendable progress in the field of tourism and hospitality sector wherein its vast aesthetic value and natural beauty is evident to contribute significantly. Collier, A. (2006). Principles of tourism. 1st ed. Auckland, N.Z. : Pearson. Infometrics. (2017). Changing patterns of tourism | Infometrics. 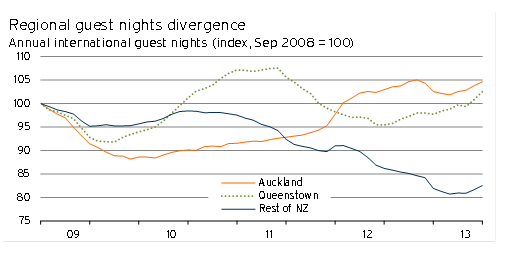 [online] Available at: http://www.infometrics.co.nz/changing-patterns-of-tourism/ [Accessed 29 Mar. 2017]. Michael, V. and Rich, F. (2013). The architecture of Barry Byrne. 1st ed. Urbana: University of Illinois Press. Must-See Landmarks in Europe. [online] Available at: https://daringtolivefully.com/must-see-european-landmarks [Accessed 29 Mar. 2017]. New Zealand history. [online] Available at: https://nzhistory.govt.nz/keyword/tourism [Accessed 29 Mar. 2017]. NEW ZEALAND Market Profile. (2015). [online] Available at: http://www.tourism.australia.com/documents/Markets/Market_Profile_2015_New_Zealand.pdf [Accessed 29 Mar. 2017]. Newzealand.com. (2017). Heritage attractions in New Zealand | Things to see and do in New Zealand. [online] Available at: http://www.newzealand.com/int/heritage-attractions/ [Accessed 29 Mar. 2017]. Newzealandatoz.com. (2017). New Zealand A to Z | Important Historical Landmarks of New Zealand. [online] Available at: http://www.newzealandatoz.com/index.php/page/display/894/ [Accessed 29 Mar. 2017]. Nzte.govt.nz. (2017). Statistics. [online] Available at: https://www.nzte.govt.nz/en/invest/statistics/ [Accessed 29 Mar. 2017]. Page, S. and Connell, J. (2010). Tourism. 1st ed. Los Angeles: SAGE. Stats.govt.nz. (2014). Global New Zealand – International trade, investment, and travel profile: Year ended June 2014. [online] Available at: http://www.stats.govt.nz/browse_for_stats/industry_sectors/imports_and_exports/global-nz-jun-14/key-points.aspx [Accessed 29 Mar. 2017]. Tourism.net.nz. (2017). Nature & Eco Tourism Attractions in New Zealand. [online] Available at: http://www.tourism.net.nz/attractions-and-activities/nature-and-eco-tourism [Accessed 29 Mar. 2017]. Tourismnewzealand.com. (2017). Markets & Stats. [online] Available at: http://www.tourismnewzealand.com/markets-stats/ [Accessed 29 Mar. 2017].